After great success in the United States, Mafalda Minnozzi’s “Tour of the Americas – 2019” crosses the equator to arrive in Brazil. 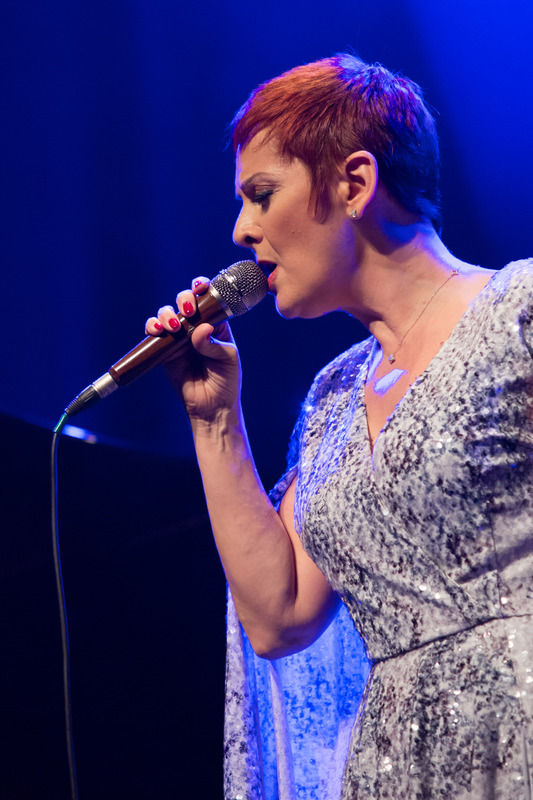 With her new show “Portraits in Bossa & Jazz”, the singer confirms her never ending desire to surprise the audience and to conquer it by creating a gallery of attractive musical paintings drawn with the light strokes of bossa nova, the liberty of jazz and colored with the many shades of her voice. The show highlights Minnozzi’s place in the current international musical scene as a singer of the highest quality, both traditional and innovative and a leading voice of these modern times. 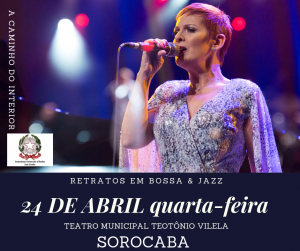 On April 24 (Sunday), the singer performs at the TEOTÔNIO VILELA TEATHER in SOROCABA (Sao Paulo/ Brazil) before traveling to other Brazilian capitals. During the presentation, Mafalda promises to fascinate the audience with songs that take the form of tenuous watercolors, vibrant frescoes or irreverent graffiti.